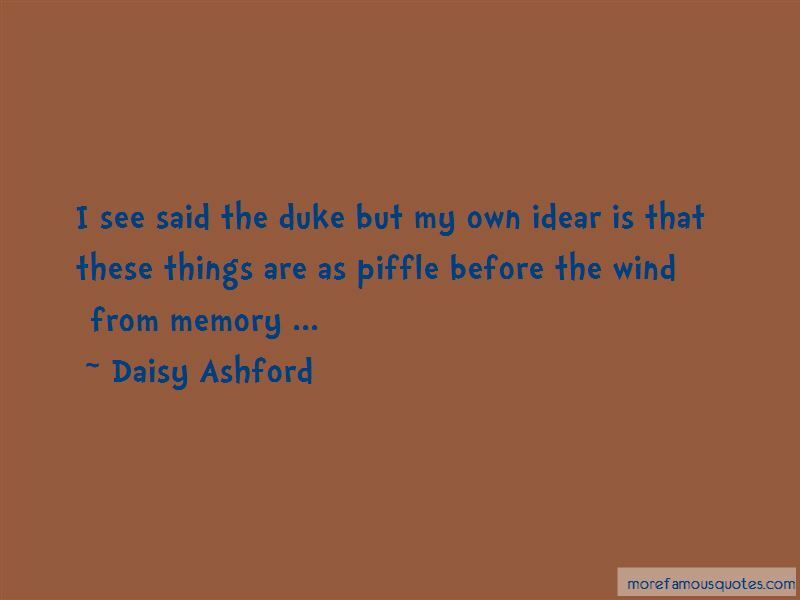 Enjoy the top 12 famous quotes, sayings and quotations by Daisy Ashford. They all went out by a private door and found themselves in a smaller but gorgous room. The Prince tapped on the table and instantly two menials in red tunics appeared. Bring three glasses of champaigne commanded the prince and some ices he added majestikally. The goods appeared as if by majic and the prince drew out a cigar case and passed it round. One grows weary of Court Life he remarked. 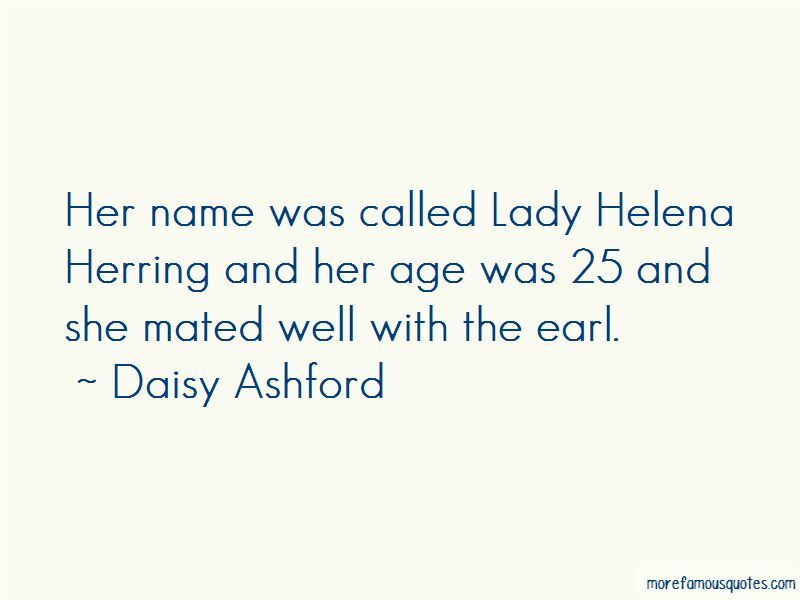 Ah yes agreed the earl. It upsets me said the prince lapping up his strawberry ice all I want is peace and quiut and a little fun and here I am tied down to this life he said taking off his crown being royal has many painfull drawbacks. 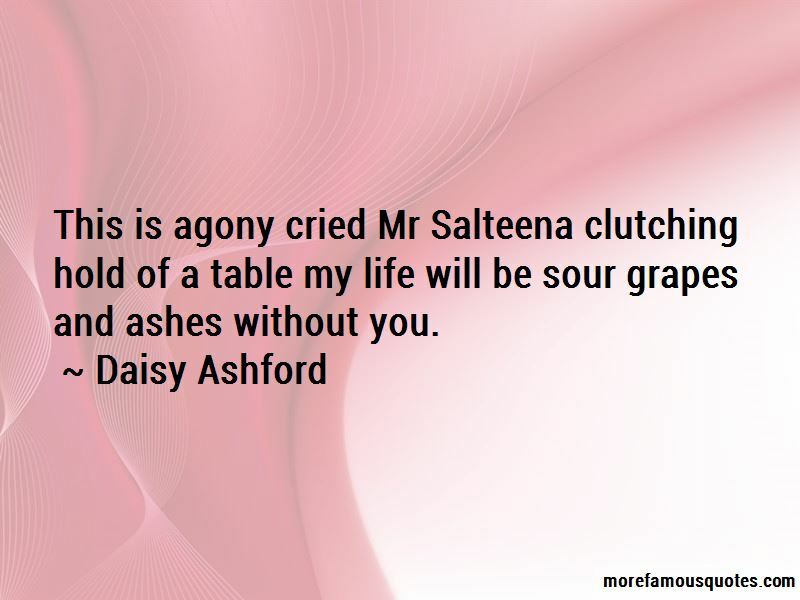 Want to see more pictures of Daisy Ashford quotes? 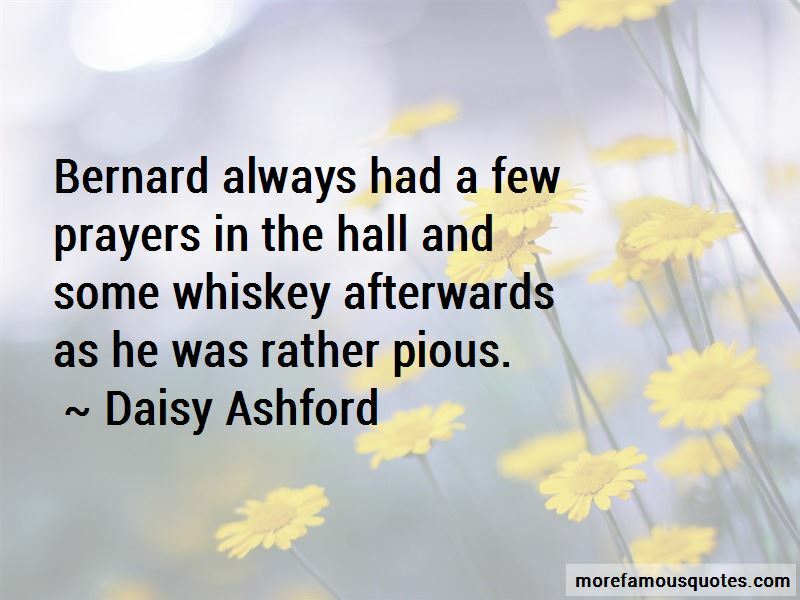 Click on image of Daisy Ashford quotes to view full size.